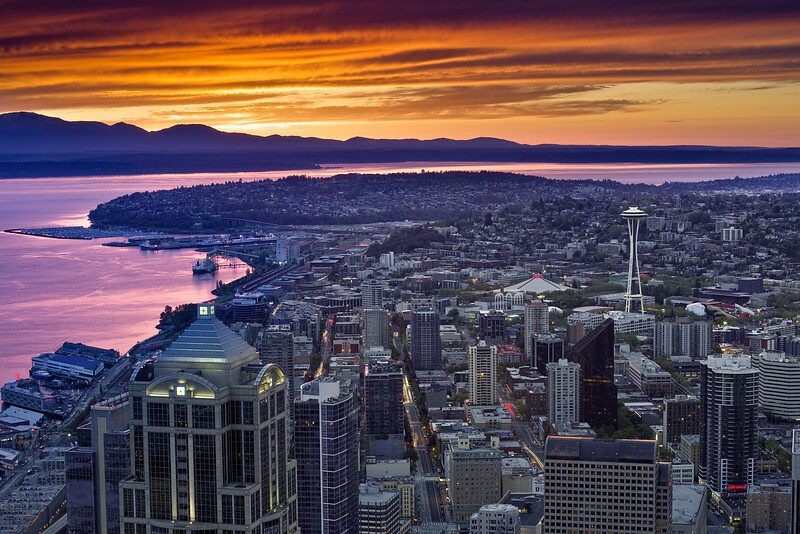 Tonight’s annual UW Radiology graduation banquet was held again at Columbia Tower in downtown Seattle. I’ve been going for the past nine years, camera in hand, and praying for great light, as the view from the 76th floor is nothing short of amazing. Each year, I leave disappointed, but not tonight. I was fortunate enough to witness an unbelievably fantastic sunset. The evening was even more special, because this was my first year as Fellowship Program Director for Pediatric Radiology. It was a great evening, and congratulations to all the graduates! Beautiful as always! You were lucky to have all that sunshine. 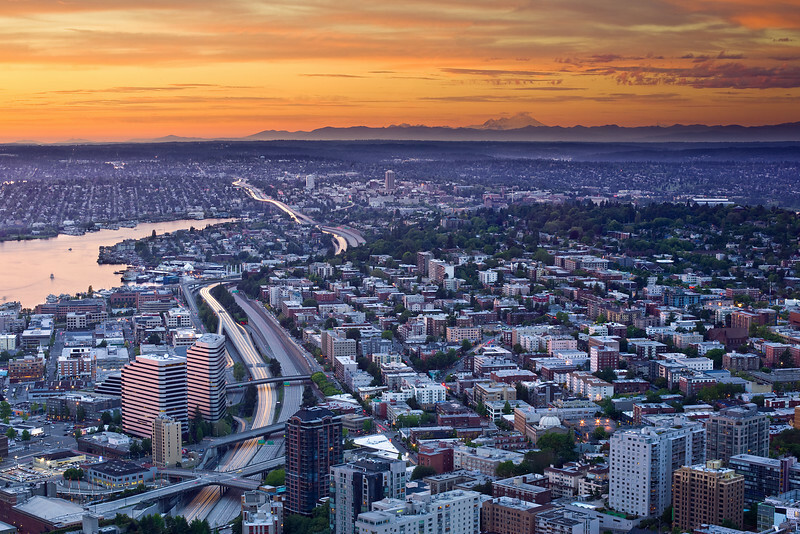 Mahesh, Great shot of Seattle in all it’s glory. I’m considering the Panasonic DMC-ZS7. Amazon has a good price on it. I’t not the GF1, but what do you think a good deal at a little over #300–what do you think of the GPS function is it intersting to have? Chris, thanks for the comments and questions. I have no experience with the Pany ZS7, but I’ve heard some good things about it. I wish my GF-1 had a GPS function on it. Currently I carry around a the AMOD device which is a small GPS recorder. I sync the times of the AMOD and GF-1. When I download images from my camera, I match up the times of the two devices, and geotag all my shots. It would be great if the GPS was built into the camera already. So, I think the GPS function of the ZS7 is a great feature, provided it doesn’t drain the battery too much and it’s fairly accurate. The photographs are truly exquisite! Som, thank you for the kind comment. I’m glad you enjoyed my shots. 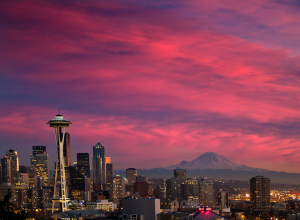 Mahesh, did you use layering in the digital darkroom to obtain the rich purplish water and golden sky in Glorius Seattle Sunset. I’ve never tried any layering. Do you use a layering technique quite a bit? Chris, thanks again for the comment. I often use layers in Photoshop to blend multiple bracketed exposures. It’s a wonderful technique to expand the dynamic range of a photo, without introducing noise. Chris, thanks again! I think I answered your question when last we spoke, right?